Aviation Safety Policies Require Review, Didn't You Know? Safety managers are busy people. After all, they are constantly ensuring SMS documentation requirements are appropriately managed for all four pillars of the aviation safety management system (SMS). It's easy to let something slip by if there are no mechanisms in place for quality assurance for your aviation SMS. 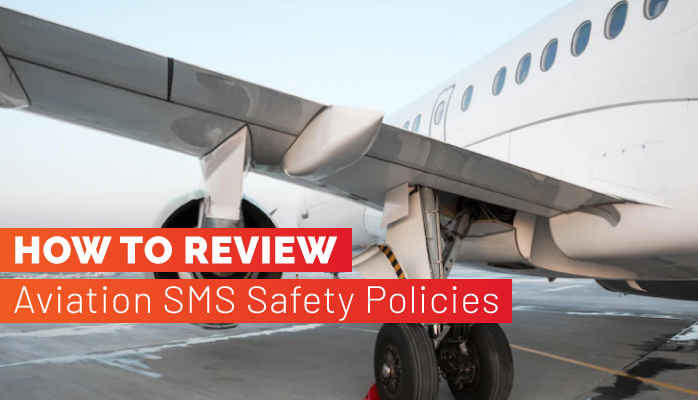 What does it mean by reviewing the aviation SMS' safety policy? Do I just slap another date on the bottom? What do auditors look for when reviewing this requirement? Review your safety policy against an exceptional safety policy requirements checklist. Your Aviation Safety Policy Requires Review! Unless you can prove it to some people, there will always be those doubters and slackers. They may always live with their heads in the sand and balk at reviewing their safety policies. To them, the accountable executive's Safety Policy is like a sacred document, immutable. Write it once and it is perfect. No changes required. "Is the safety policy periodically reviewed to ensure it remains relevant and appropriate to the [organization]?" "The safety policy is reviewed periodically for continuing applicability." "The safety policy is reviewed periodically to ensure it remains relevant and appropriate to the organization." "Do your safety management processes require your safety policy be: Regularly reviewed by your accountable executive to ensure it remains relevant and appropriate to your organization?" OK, I think I made my point. 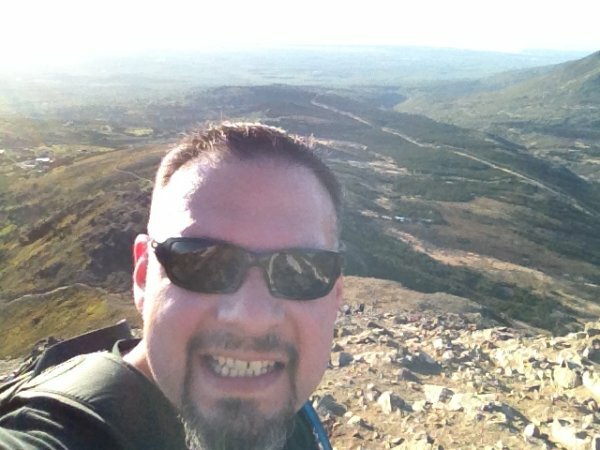 FAA Part 5 Safety Policy: What Do They Mean for Aviation SMS? I believe an aviation safety policy checklist is more useful when reviewing safety policies. The safety manager doesn't have to wade through paragraphs of often wordy and meaningless guidance material to get to the point. No, that really doesn't apply to our situation. Most aviation service providers already have their safety policy if they have started an SMS implementation. Where do you keep your safety policy? Many of you will hunt for it on some dusty shelf. Best practices dictate that the safety policy should be readily available to all stakeholders. Put it on your Website, or online with your aviation SMS database or safety portal if you have one. Since your operating environment is constantly changing, your safety policy should also change. Don't be afraid to update this "sacred" document. Safety policies are core documents supporting an aviation service provider's safety culture. They lay out employee expectations and the commitments of key safety personnel. Without an effective safety policy, employees are left without guidance and protection from management retaliation. Safety policies guide safety culture. You should not simply stop at your aviation safety policy. The truth is that all your safety policies and procedures require review. For many aviation service providers, this may be a huge task to do in one day. You may consider breaking up the review sessions into two or three meetings. The better aviation SMS software suites have tools to ensure these policies and procedures do not slip through the cracks. They will send out email notifications whenever a policy or procedure requires review. The SMS database also has the ability to make the safety policy accessible to all employees. This is a huge plus for aviation service providers to be able to display safety policies to all employees in an online forum, not to mention the capability to remind the safety team that the policy requires review. This is not justification to go out an buy an aviation SMS database; however, there are other benefits of the SMS database that will help safety managers document the ICAO "Safety Policy" component. If you are just starting (or restarting) an SMS implementation, make sure you understand the data management requirements for the considerable SMS documentation you are expected to produce. Finally, you must not forget to have the accountable executive review and acknowledge any changes made to the safety policy. Include the date the document was reviewed and accepted. In the real world, who is managing this? You go it: the safety manager. After the safety policy has been reviewed, you should consider "promoting" it again. Promote the safety policy regardless of whether any changes have been made. Don't waste this safety promotion opportunity to strengthen the safety culture. notify all employees of the "Updated Safety Policy;"
allow management to demonstrate employees have read the safety communications. These best practices help improve safety culture. Unfortunately, you won't be able to track these safety communications using spreadsheet SMS data management strategies. However, these best practices are easily practiced when you have access to an SMS database. But there is a lot more the SMS database can do for you. Are you ready to improve your safety culture? Watch these demo videos to learn whether we are a good fit for you. Policies and procedures should be integrated into your aviation SMS. 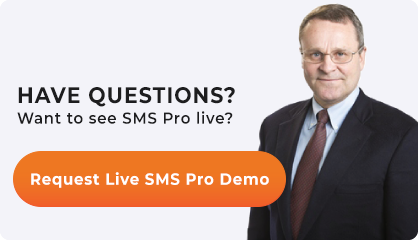 Do you have questions about SMS Pro? Published July 2015. Last updated January 2019.